Oeds Westerhof worked as a temporary director for arts institutions like the Oerol Festival, Arthouse LUX Nijmegen and the Dutch Fund for Performing Arts, theaters, libraries and art schools. He also worked as a consultant for art institutions and national, regional and local governments. 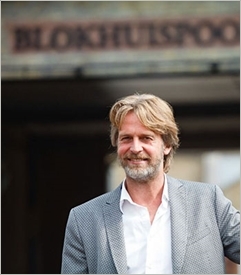 Since 2012 he works for Leeuwarden-Friesland European Capital of Culture 2018, he led the organization in the competition phase and then continued in the board of directors with an emphasis on network and legacy.